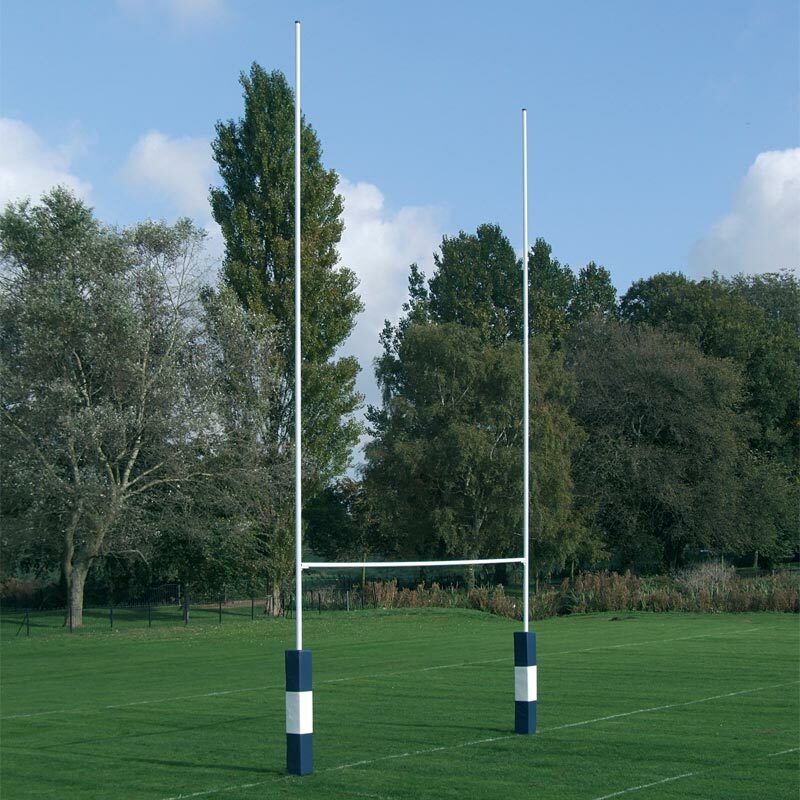 Harrod Sport ® No.2 Steel Rugby Posts are ideal for school use. Manufactured from steel tube and polyester powder coated white. 917mm deep sockets with 73mm inside diameter and complete with stabilising fins and base plates. Hinged adaptors with high tensile bolts make erection of posts safer. Top uprights are fitted with caps. Bottom uprights 6m long x 70mm diameter x 2mm thick. Top uprights 5m long x 63.5mm diameter x 2mm thick. Crossbar 5.6m long x 63.5mm diameter x 2mm thick.